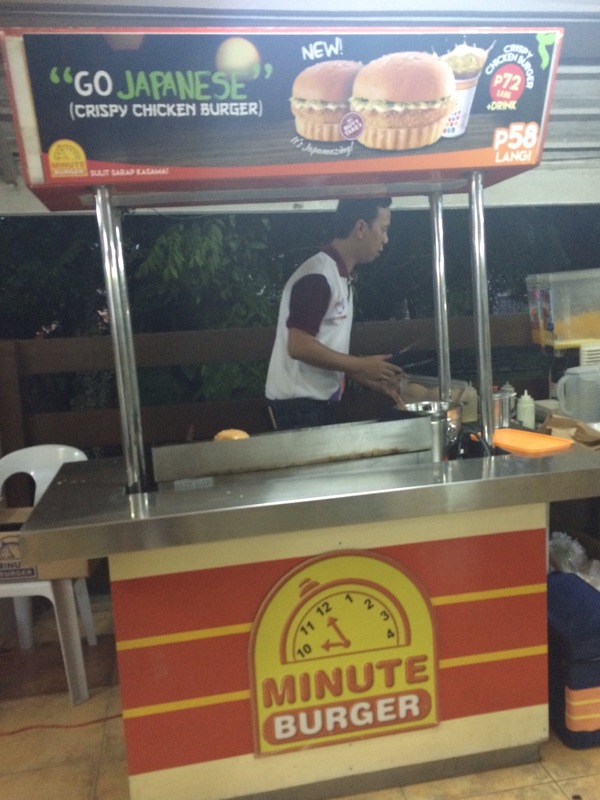 Minute Burger has been an established franchise for more than 30 years and one of the companies that focuses on enhancing the quality of the products that they are serving. Last August 12, 2016 I was invited by pmcm to the launching of their new burger. I had been a fan of their beef pizza burger since they introduced that on their official facebook page. 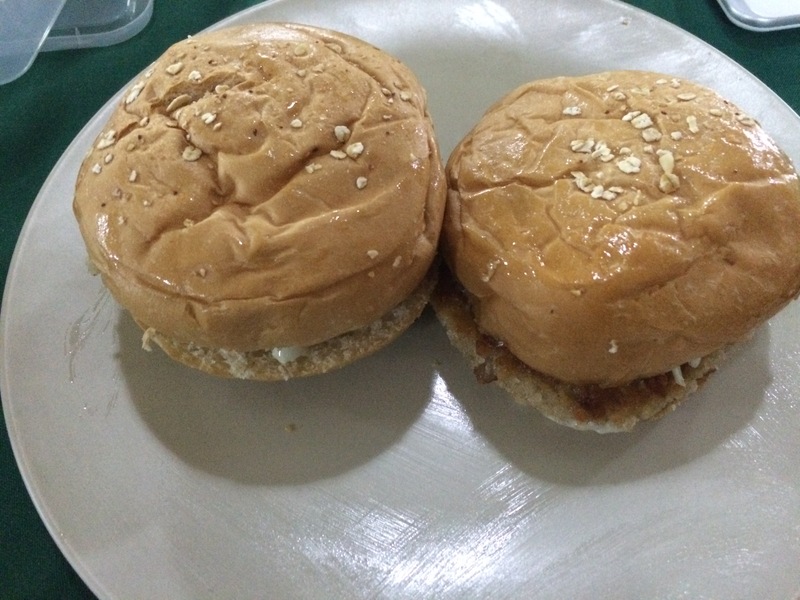 What I love about minute burger is that they conceptualized new fusion of ingredients to their already tasty burger to cater the demand and changing taste of their customers. 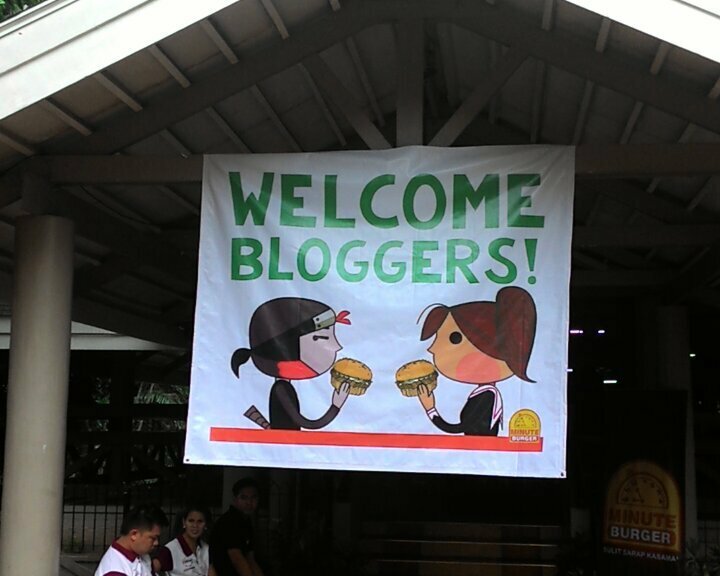 When I arrived at Alabang 400 club house I was immediately greeted by their welcoming banner which I was not able to take a picture of due to the heavy rain. Together with leslie corporation they made the launch interactive with their staff demonstrating on how to cook the scrumptions crispy chicken burger . They also made us experience on how to cook and prepare our own. The crispy chicken burger is a scrumptious premium sandwich wrapped in shredded cabbage with sweet wasabi goodness all in their oatmeal-sprinkled bun. This is a melt in your mouth goodness with the right amount of spicyness from the wasabi that makes you want to taste a piece of japan. Since I love spicy food I would definitely repurchase this to share with my friends and family. The overall taste of the wasabi does not overpower the taste of the crispy chicken burger. The affordability of the product is one factor that I consider as well. You can avail this on all of their 420 branches nationwide at P58 pesos for a buy one take one deal. How to Keep your Skin Hydrated while your busy? How do you keep that glow, elasticity and hydration on a busy schedule? As a modern day Filipina I know the struggle of having a ton of work commitment that limits your ability to do your complete skin care method. I tend to work for 12 hours straight and sometimes when I get home I only do the 3 step method of skin care leaving out time to moisturize. Needless to say I needed a boost of moisture and glow because when my dermatologist placed me on a peeling regimen my skin had become flaky and dry. I tried so hard to control the flakiness by putting on more sunscreen and my favorite moisturizer but to no avail. 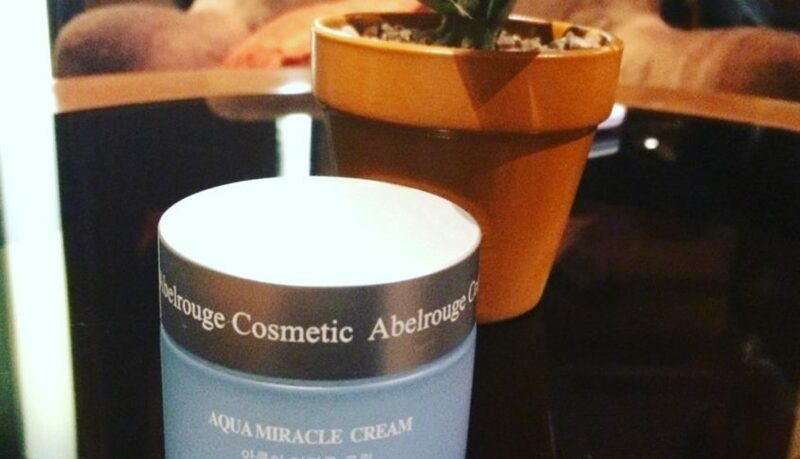 Good thing I received the Abelrouge aqua mineral cream from Charis, a Korean based website that offers authentic products made in Korea. Charis was first introduced to us during the Style Con Asia event last June 2016. Since I have a sensitive skin I did some patch test by putting the cream on the back of my hand to test if it would trigger an allergic reaction. Luckily I did not experience any skin irritation and since then I started using the said product for 7 days.For what I have researched Abelrouge is used by dermatology offices and broadcasting companies in Korea. So if you are worried about the ingredients of the product because like me you can’t read the label in Korean language, Charis has an in depth description on their website that I will list below. What are the ingredients of this product according to the website? Deep sea water, white jelly fungus which contains vitamin D, collagen and the anti-oxidant linoleic acid,jojoba seed oil, bisabolo (matricaria chamomille flower extract), allantoin, poncrius trifoliate fruit extract, centella asiatica extract and tremella fuciformis polysaccharide. 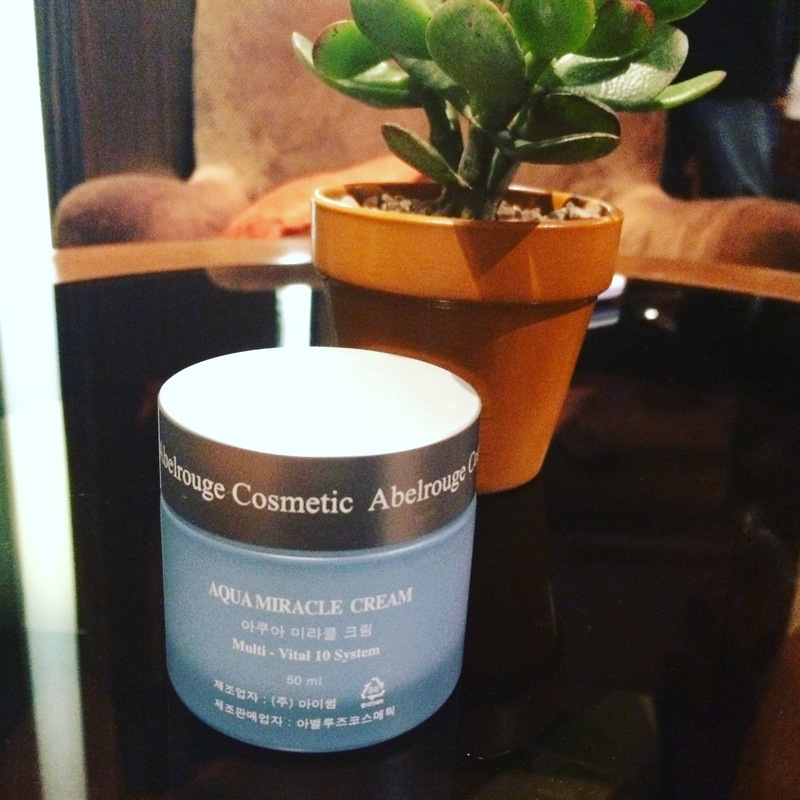 What I love About AbelRouge Aqua Mineral Cream? After 7 days of using this cream on my face combined with my daily regime here are the list of things I love about this product. Light weight on the skin and non-sticky. Since the weather here in my country changes each day from sunny to rainy, I need a product that lets my skin breath and does not feel like it’s overwhelming my face with so much cream. This product allows easier application of my makeup. Before I apply my primer I always use this because it smoothens the surface of my face and it tames the flakiness. This cream also seamlessly blended well with the application of my foundation and it helps in hydrating the areas of my face where the peeling mostly occurs. I use this 2 times a day for 7 days and it really did boost the hydration back on my skin. Most of the cream’s ingredient comes from natural resources which is a good thing since I have been looking for products that will not harm my skin on the long run. Travel friendly container and the scent is mildly sweet. Yes I would since there are only a few products that sits well with my skin. I do think this deal is quite a steal especially when it made my makeup look flawless and it gave my skin that needed boost of moisture. Yes I would since everybody needs to learn the benefits of getting a great moisturizer like it lessens the development of wrinkles, it lessens the dull and flakiness of the skin and also makes your makeup on fleek. 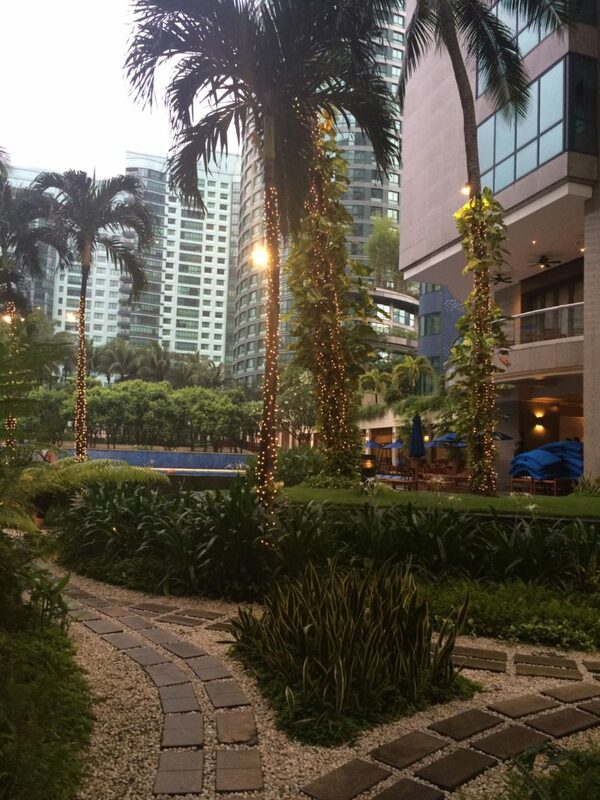 Work life can be strenuous on a modern day Filipina like me. But how do you make work life easier without compromising your health and budget? 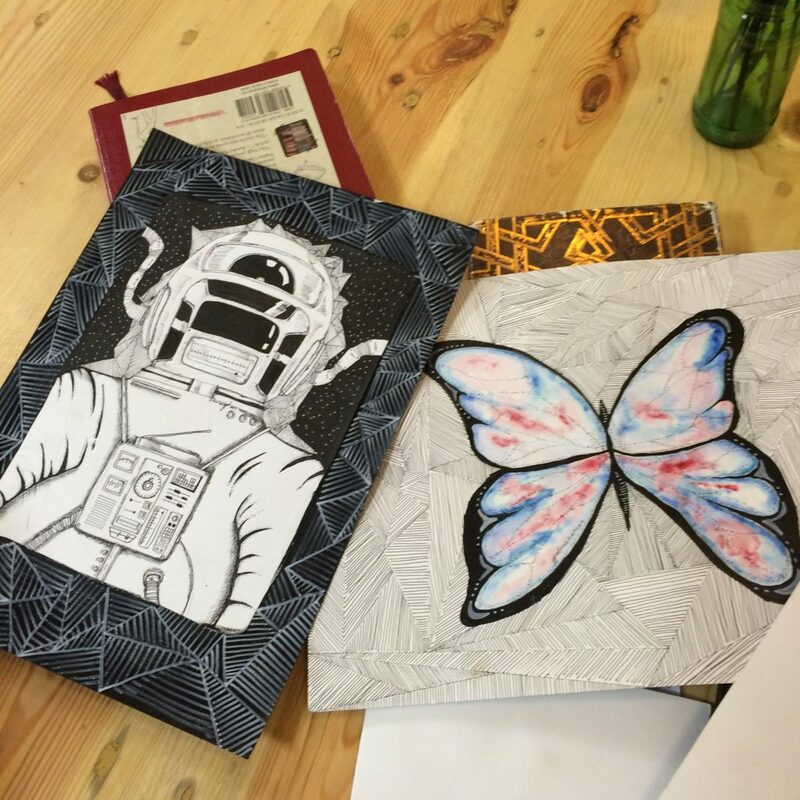 Here are some tips that I list down to make my work life easier. Decluttering your space can help improve efficiency and focus. A cluttered desk tends to distract us from our workload and the amount of paper works that we see, the same amount of stress can also build up. 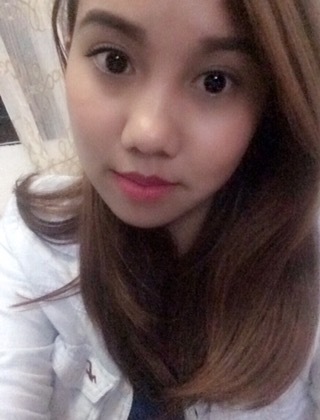 I personally preferred to work in a clean area as it makes finding supplies, documents fast and also I can prioritize tasks easier because I can move freely. 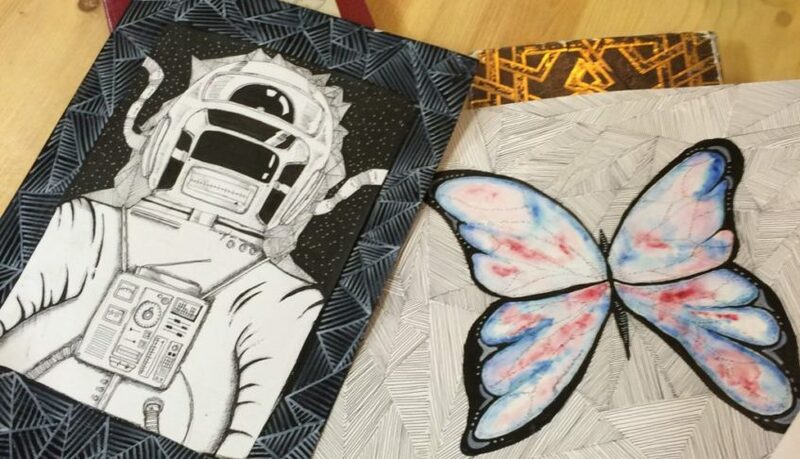 It can also help in building creativity as a clean area is like a blank canvas that you can create new and exciting ideas with. Not all of us has the luxury to take long periods of break. 30 mins to an 1 hour is all we need to revitalize our senses. Taking a short nap can increase our memory span. Taking a short walk after lunch or stretching can help in improving our blood circulation and freeing our minds from the daily task ahead. If you are also near a park it is best to go there because a change in environment can help in enhancing our attention span. I used to work in an office based area that was surrounded by fast food chains. The key to not get tempted is to bring your own lunch to work and always have a fruit to snack on whenever hunger arises. I find that eating fruits and vegetables can increase the level of energy I give at work. If you like to eat carbs i suggest you go for the whole grain or brown rice given that it expands efficiency as it makes you full yet energetic at the same time. You can also go for small frequent meals compared to eating heavy meals which gives a lot more calories and it tends to make you feel sleepy. Exercising can be done in the form of taking the stairs over the elevator if you are only on the 5th floor area of your building. You can also do stretching before you lift a box of paper works or walk to the paper copier machine to promote blood circulation after a whole day of sitting at your desk. Meditation is also done whenever you are faced with a stressful meeting or an on the spot presentation. Smiling can also help and keeping a positive attitude towards the strenuous task ahead can reduce your amount of stress. My mom was the one who introduced this supplement to me way back college up until now I have been using this. Apart from being affordable it also boost my immune system. So whenever i feel like getting a cold I usually double dose this. As a nurse i tend to get exposed to different illnesses and this really does help in improving my body resistance plus it is non acidic ideal for people who has a history of hyperacidity. 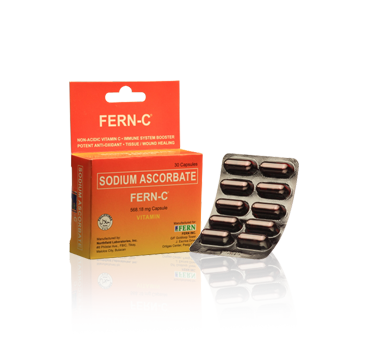 Fern-C is Subok na that is why people stick to this brand because it does what it claims. 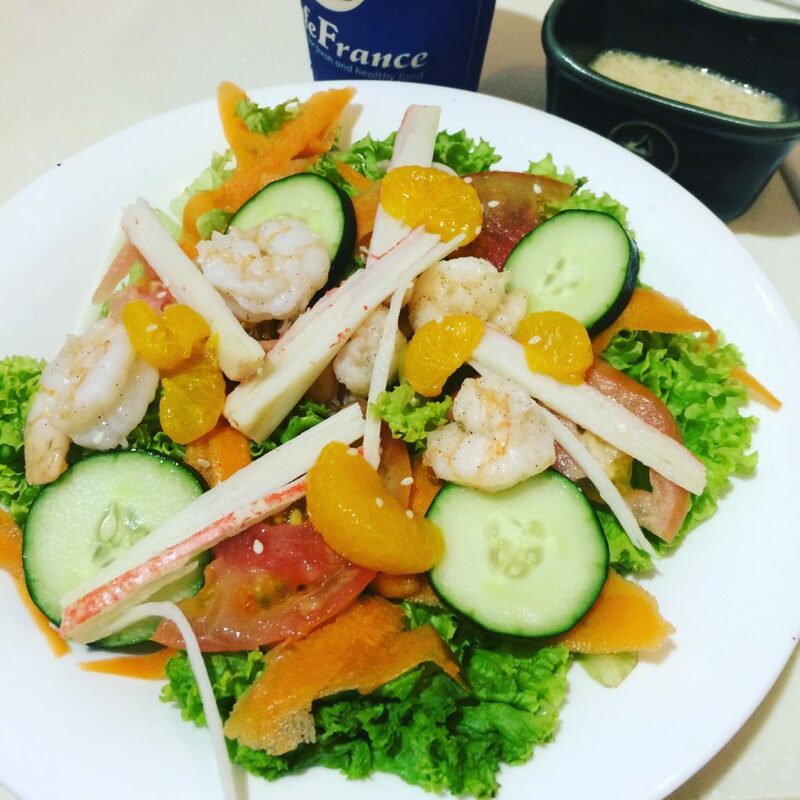 From my experience Worklife ay Easy with FERN-C!